Ecological consultants at ENCAP, Inc. have worked with land improvement design teams consisting of engineers, landscape architects, and planners since 1973. Natural areas typically contain remnant prairies and wetlands, state and federally listed historical nature preserves, large-scale natural forest-preserve land, and state or federally funded restoration projects on public lands. The Native Landscape Maintenance staff has extensive experience working within naturalized detention basins, wetland mitigation areas, rain gardens, forest preserves, public park areas, business centers and various other native landscaping projects. 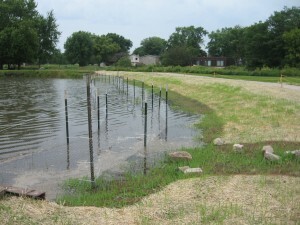 ENCAP, Inc. specializes in efficient, budget-conscious erosion control for builders, developers, municipalities, park districts, federal agencies and homeowner associations.